A man has been taken to hospital after a Land Rover flipped onto its roof in a crash with another car. 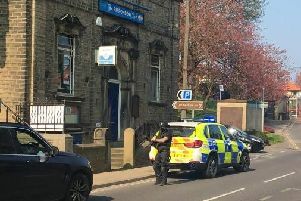 The incident, which happened at about 4.30pm on Middleton Road, Hunslet, Leeds, involved a white Land Rover and a Peugeot. Four people who were in the Peugeot were treated for minor injuries, while a man from the Land Rover has been taken to hospital. A bus stop by the side of the road has also been damaged. Police have closed the road near the junction with East Grange Drive and commuters are advised to find an alternative route where possible.